Make dry flies like a pro. Ideas for tying durable flies that float high and fool trout. When constructing a dry fly, making a pattern as light as possible so it tends to stay on the water’s surface is important. That should come as no surprise. How we accomplish this is the purpose of this article. Closely examining a pattern and determining where you can use a material to perform more than one function is one of the most important steps we will share. This may be important to the fly’s final proportions and appearance, or to simply speed up the tying process. You’ll notice in many of our dry fly tips that we fold materials to improve some part of a pattern to change its appearance, floatation, or to add our own twist to an already successful fly. Yes, we are no different from you: We like to improve existing patterns to make them better in our own eyes. Do the fish really care? Probably not, but we like to think our small changes add to the productivity of the fly. The truth is that a dry fly will catch fish if it closely matches the size, color, and general profile of a natural insect. After these three considerations, the rest is up to how well you present the pattern. If you drag it across the water’s surface when naturals are dead-drifting, your chances of success are not very good. On the other hand, here is a major tip for those of you new to fly fishing: Learn about caddisflies. If those delightful creatures live in your area waters, using the simplest presentation can be the most effective fishing technique. Just cast your fly across the current and allow it to skitter over the water’s surface until it is hanging downstream from your position. Let it hang there for a few seconds before recasting. And you thought we offer only fly tying tips! 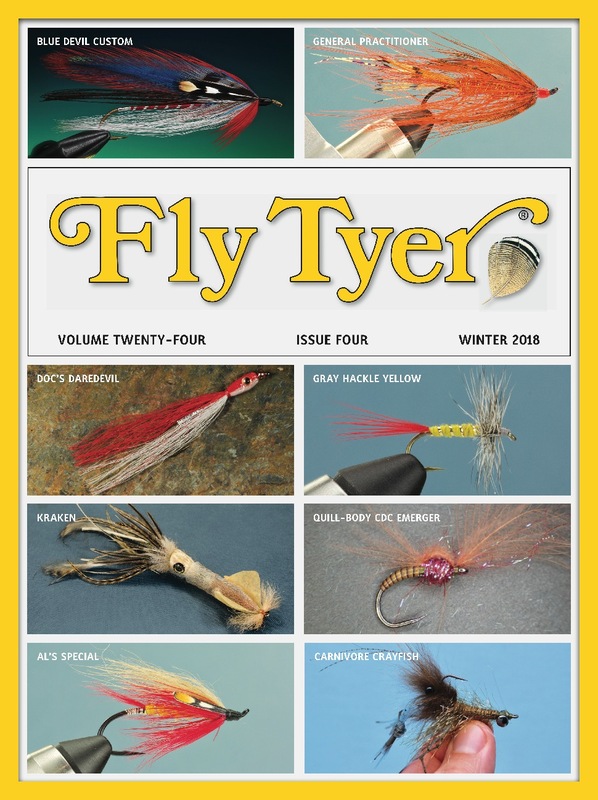 Read on and learn how to tie better dry flies, but don’t forget to skitter your fly across the current when presenting an adult caddisfly imitation; some days it drives the fish crazy, but on others it’s not so effective. On less productive days, you might want to work on your dead-drift techniques. In any case, the following tips might improve your dry fly-tying experience. Keeping the tying process simple while ending up with a good-looking pattern that floats is an important part of creating any dry fly. Designing the pattern so some of the materials perform more than one function is an easy way to accomplish that goal. This foam-headed pattern is an excellent example. We suggest incorporating its general design into a selection of your flies, both terrestrial and newly hatched aquatic imitations. Our example is Jeff Smith’s Skwala, but longtime friend Paul Stimpson uses a very similar design in his Klod Hopper. Both flies are easy to tie and have caught fish around the world. We carefully select the animal hides we use for tying hair-wing dry flies. Our goal is to purchase pelts with straight hair and very few broken tips. Even though we are careful in the selection process, we still end up with some broken tips raising their ugly heads in the middle of a bundle of stacked hair. Here’s how to remove the offending fibers quickly, with the least amount of fuss. If you prefer not using foam in your dry flies, here are two tips for quickly adding heads to your patterns. One tip is very similar to the method we used with the foam strip, but the other requires a bit more attention to detail. In either instance, the results are tight, half-bullet-shaped heads. Have you ever tied a really good-looking bullet-head fly and then discovered you left a section of bare hook shank behind the eye? Close attention to detail, and these two tips, might help with that problem. Getting the length of a Trude-style the same on each fly can be frustrating. We’ve tried many different techniques such as using a ruler, which works well but is slow, to the one we’ll share with you here. We use the simplest measurement tool in our arsenal—the hook.